Made the choice? Join the family! Choosing a major? We can help! Congratulations, you've been accepted! 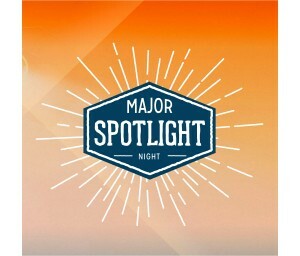 We invite you to join us at Major Spotlight. This is your first chance to meet and hang out with others who have been accepted to HIU. Major Spotlight is also designed to give you an in depth look into our academic programs and help you get connected with current students and faculty from your major. Dinner will be provided, and chances are you will meet a new friend!